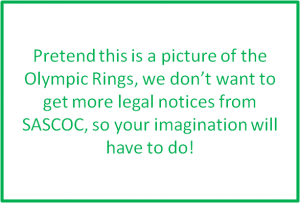 This year’s Olympics seem almost subdued. I think it might be the hangover from the Euros, but suddenly the Olympics is upon us and our nights will be spent watching highlights and live track and field events! 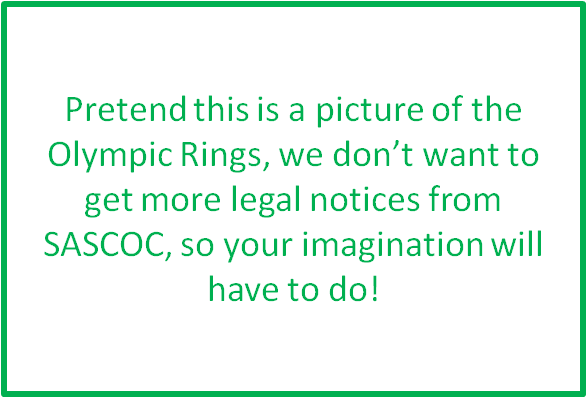 Unfortunately SASCOC has been in the news and it hasn’t been for the best reasons, as athletes have taken the association to court regarding the final team selection. It is a difficult situation for both sides. I’m not even going to attempt to take a side in the situation! It does put a bit of a damper on things but I’m sure that will pass once we watch the opening ceremony. From a Team South Africa perspective there will be lot to watch and support. The 4 x 400m relay where Oscar Pistorius is the main story is sure to be a highlight and it will be great to watch the team compete as they have a real chance for a medal! Oscar’s story is one of the great stories of sport, and I’m sure it won’t be long before we’re watching a movie about his life! Caster Semenya will also be right up there, LJ Van Zyl will give us something to cheer about and there will surely be more stars born at the Olympics for Team SA. Aquatics is a field South Africans have excelled in since Penny Heynes won the nation’s hearts and this year it looks like we’ll have heroes in the pool once again. Chad le Clos, Darian Townsend, Suzaan van Biljon are highlights in the team but Roland Schoeman and Cameron van der Burgh could also spring a surprise or two, so the Aquatics will definitely be worth watching for South Africans! One of the events I enjoyed at the last Olympics was the BMX racing and the rise of South African Sifiso Nhlapo, and I’m looking forward to watching this Soweto boy do the nation proud once again. It’s wonderful to see such a diverse array of sports where South Africans are represented. It means that there will be a lot of events worth watching – I only hope we have some competitors making the finals and upsetting the odds! The Hockey teams will definitely be worth watching this year, as the rise of Hockey over the last year has shown – there are medals in these teams! Jabu is a massive hockey fan, and over the last year I’ve really enjoyed getting into watching the sport.